Vacation rental house. Sleeps 4, 2 bedrooms, 1.5 bathrooms. No pets allowed. Park Avenue Guest House - Fresh and inviting 2 BR, 1.5 Bath single-story home, close to HSU and Redwood Park with panoramic views of Humboldt Bay and Arcata! This wheelchair-friendly house has beautiful grounds and features private off-street parking right at your door. It accommodates up to 4 guests. Children over 12 are welcome. 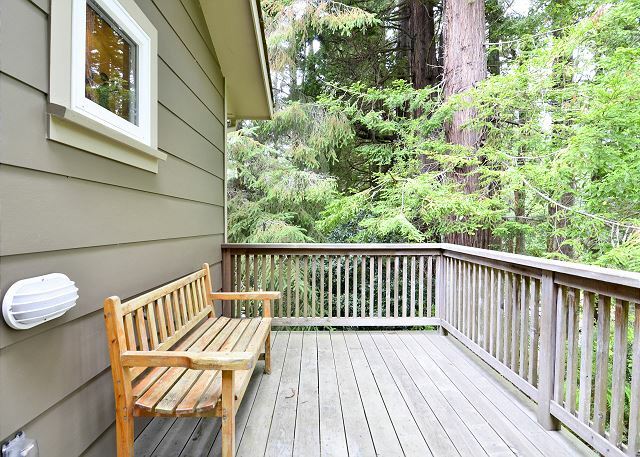 There’s a front deck for relaxing in the sun and a secret side deck underneath towering Redwood trees. Pristine hardwood floors and vaulted ceilings highlight the open floor plan, where kitchen, living and dining room all overlook the Bay - with gorgeous sunset views! The kitchen is fully-equipped and the dining table seats six. Enjoy whipping up a big breakfast at the spacious bar which seats four. Features include super speedy wifi, a flat screen internet Smart HDTV, dishwasher and full laundry facilities. The bedrooms are cozy and quiet with queen beds and carpet throughout, hotel-quality linens and plenty of closet space. Spa robes and a hair dryer are provided. 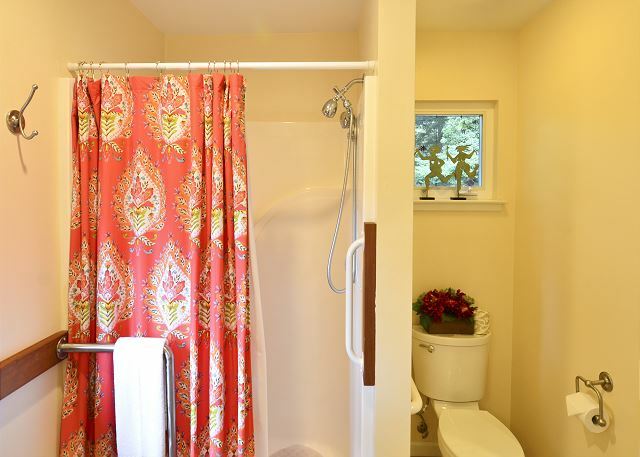 The Master bedroom offers a dressing room next to master full bath which has a standing shower with seat and grab bar. A spacious counter area has a vanity stool to make getting ready more relaxing. Our Guest House is a short walk to Humboldt State (Let us show you the shortcut through the Park!) and centrally located for easily exploring all this University town has to offer - including 5 miles of groomed trails at the Arcata Marsh and Bird Sanctuary, the Natural History Museum, Art Galleries and the Plaza with its year round Farmers Market. We also have exceptional shopping, dining, and wine tasting, as well as Dispensaries and Breweries. It’s the perfect home base from which to discover ALL of the Redwood Coast with its miles of uncrowded beaches, National Parks, and unique areas such as the Victorian Village of Ferndale and the tiny fishing village of Trinidad. So, whether you come for an outdoor adventure or a relaxing coastal retreat; to celebrate an anniversary or graduation, or are simply traveling through - we invite you to enjoy the best our beautiful area has to offer from the comfort of the Park Avenue Guest House. Welcome and enjoy your stay! My daughter and I had a very comfortable stay in the Park Ave Guest House. I was happy to find the home so spacious and clean. We arrived on a cold and drizzly evening. The guest house was a warm and welcome respite from our long drive. The nightly rate was a bit high, but we found it worth the splurge for the comfort and convenience. One afternoon we went into town and enjoyed crepes at Ranata's Creperie. We shared both the savory and sweet options. They were delicious and thoughtfully prepared. We also visited holly yashi jewelry shop. We were amazed by the selection. Definitely a highlight of the trip. Finally, we loved the location of the property. We were in town to tour HSU, so we were thrilled to find the home so close to the campus. My daughter and I had a wonderful visit and stay at Park Ave Guest House and would definitely choose to stay there again. Wow, thanks so much for the through review! And I'm thrilled you loved your time at Park Ave. It is perfectly located and lovingly maintained. I'm glad you were able to sample some of out local shops and restaurants. The two you mentioned were absolutely incredible and shouldn't be missed. We would love to have you both back for another stay at Park Ave Guest House, and thanks again for taking a moment to leave such a lovely review, we really appreciate your feedback. Very happy to hear you enjoyed your stay at Park Ave Guest House and we look forward to your return! Look us up at Redwood Coast Vacation Rentals when planning your next trip to the North Coast, with over 120+ properties, there's something for everyone! We loved this house! It was very clean with all kitchenware we needed. Great notes explaining how things worked and many added special touches. 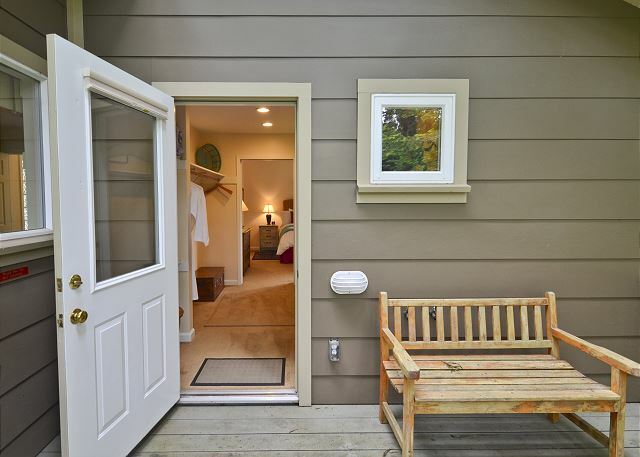 Just like stepping into home with a great location next to the beautiful Arcata Forest Reserve. The property management was very responsive. Would definitely stay here again and recommend it to others! Thank you! We appreciate you taking the time to leave a review of Park Ave Guest House and love to hear you will return. Walking distance to lots of amazing trails and downtown, there is a lot to love about this clean and pristine property! Please look us up at Redwood Coast Vacation Rentals when planning your next trip to the North Coast, with over 120+ properties, there is a place for everyone. Our stay at the Park Avenue Guest House was wonderful. The home is beautifully decorated, private, clean, well stocked, has great views of the Bay and it is in the best location for our needs. We loved being able to hike in the redwood forest that is in the backyard, easily slip down to the town and out to the beaches. We hope to come back! We hope to have you back! Please look us up at Redwood Coast Vacation Rentals when planning your next trip to the North Coast, and thank you for taking time to leave a review of your stay! Great location, good home base for exploring the area. Clean, well equipped and comfy. Nice view over the town to the wildlife marsh. 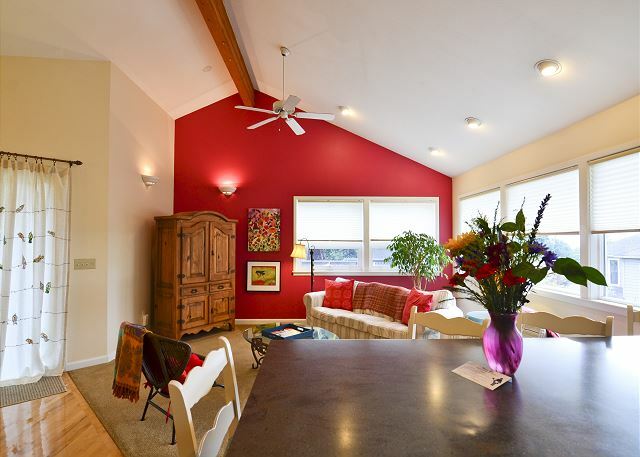 Just a few minutes from everything in Arcata and 101 to nearby areas. Thank you for your review of Park Ave! We really appreciate you taking time to leave us your thoughts, we love feedback! We would love to have you back again, please look us up at Redwood Coast Vacation Rentals when planning your next trip to the North Coast! We had a really comfortable stay in Arcata. The house is super clean and spacious. Close to town with a beautiful view, since it’s situated on a hill. Will definitely stay here again when we’re back in Arcata. We look forward to having you back! Park Ave is well cared for and it shows, and it's situated in a lovely place as well. Please look us up at Redwood Coast Vacation Rentals when planning your next trip to the North Coast! ALWAYS love our stay here! Disappointed its not available at Christmas. Just hope the other rental we found exceeds our expectations, like this one does. I'm sure it will! Thanks for taking a moment to leave a review of Park Ave Guest House, we would love to have you back when it's available, people do love this property, due to the location, cleanliness and the fact it feels like home. Thank again and we look forward to your return! Excellent!!! Beautiful house and location!!! I'm so happy to hear you loved the property! The owner spends quite a bit of time making sure guests feel warm and welcome, and I think it shows. Please come back and visit again soon, we would love to have you! Look us up at Redwood Coast Vacation Rentals when planning your next trip to the North Coast, with over 100+ properties, there is something for everyone! 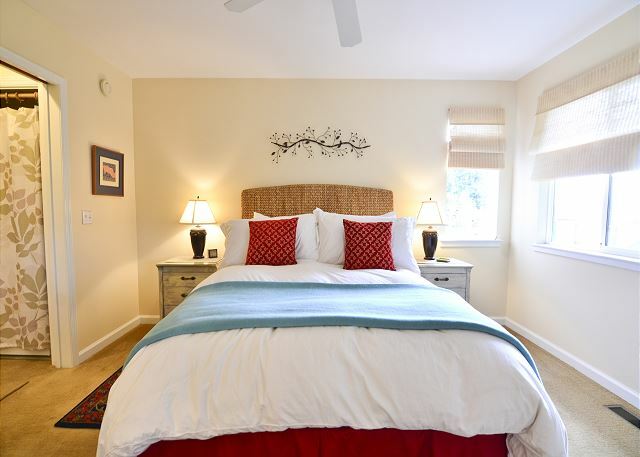 The Park Avenue Guest House is one of the most welcoming, orderly, generously appointed, thoughtful, nicely documented, comfortable, and very clean venues we have experienced with VRBO. And that's before you add redwoods, Arcata, privacy and views to the mix. Thank you very much for your review of Park Ave Guest House! We would love to have you back anytime, and am so happy to hear you enjoyed the many charms of the Park Ave Guest House. Please look us up at Redwood Coast Vacation Rentals when planning your next trip to the North Coast, and thanks again for taking time to leave a review! Had a great time in Arcata. Was here for a baseball game with the Humboldt Crabs and this was in the perfect location. Very clean and cute home!! Thank you for taking a moment to leave a review of Park Ave Guest House! The home is very warm and welcoming. We would love to have you back the next time you visit the beautiful Arcata, there's so much to do while visiting, from shops to restaurants, and this home is a wonderful home base. Thanks again for leaving a review, and please look us up at Redwood Coast Vacation Rentals when planning your next trip to the North Coast! Another great visit. We'll be back. So happy to hear you enjoyed your stay at Park Ave! It seems you've stayed there in the past, and had a great stay, so we hope you'll return to Park Ave in the future, please look us up at Redwood Coast Vacation Rentals when planning your next stay on the North Coast! Excellent! We felt at home at Park Ave. Guesthouse in Arcata! Thank you Patricia for your wonderful review of Park Ave Guest House. Close to town, but nestled into the hillside, with beautiful redwoods out the window, it's a lovely spot to spend your vacation. We would love to have you back any time, so please look us up at Redwood Coast Vacation Rentals when planning your next trip to the North Coast, and thanks again! We came up for my oldest's graduation. We had 4 of us staying at the house and each night we had a few people over for dinner to celebrate. The space was very nice, perfect for our small groups, and very clean, and warm/welcoming. The patio could have been cleaned off better. But overall I would still give it 5 stars. Thank you, thank you! We just pressure washed the deck and cleaned off the winter debris. Thank so much for the kind review and thank you for taking the time to review Park Ave Guest House... folks just love it! We were in town to visit our son, a student at HSU. This property was perfect for the three of us travelers, and provided easy access to the town, the campus and many points of interest. The furnishings and amenities were great (so nice to have washer/dryer access! ), and manager Jesse was readily accessible when needed. We'd definitely try to book here again! Thank you for leaving a review of Park Ave Guest House, it really is the perfect spot, tucked away in the hillside, yet being very accessible to town and amenities, and the owner spends time taking good care of the property care of the property, so the home is always beautiful and comfortable. We would love to have you back soon, please look us up Redwood Coast Vacation Rentals when planning you next trip to Arcata or beyond! The guest house was clean and beautifully furnished with lots of amenities. It rained 4 out of the 5 days we were there so it was a welcome refuge to come back to after hiking in the redwoods in the rain with the grandkids. We slept well and appreciated how quiet it was up on the hill. At night the view from the living room windows was exquisite. A great place to stay! Thank you so much for this great review. Park Ave Guest house is such a clean, quiet, and accommodating place with awesome views in the perfect location. We look forward to your return! Couldn’t have been a more perfect getaway. This rental is a perfect blend of convenience and escape. The view of the redwoods and the bay was so wonderful. Then easy access to the freeway and Arcata made little jaunts a breeze. I wouldn’t change a thing inside or out. Thanks the the review of Park Ave, we'd love to have you back anytime! We agree that the location can't be beat, what a charming little home nestled into the hill, so close to redwood trails and close to amenities! Please look us up at Redwood Coast Vacation Rentals when planning your next trip! This is a beautiful home with wonderful views. Thank you for leaving your review of Park Ave! We would love to have you back anytime, don't forget to look us up,at Redwood Coast Vacation Rentals when planning your next trip to the North Coast! This house was charming, clean, and well equipped. The beds were great! Best yet, it backs on a redwood park, which is beautiful to hike in, and had gorgeous views of the bay from its hillside location. I loved waking up every morning and having coffee on the front deck and looking out at the bay. Just a 5 minute drive into town as well. Will definitely return! So happy to hear you enjoyed your stay at Park Ave.! It is well situated, as you mention, to capture the beauty of the redwoods all around you and yet a simple walk or drive to all amenities. We would love to have you back, so please look us up when booking Park Ave at Redwood Coast Vacation Rentals, with over 100+properties to choose from, there's something for everyone! Thanks so much for taking the time to leave a review, we really appreciate feedback. As usual the Park Ave Guest House was a winner on our stay in the Redwoods. Our son lives in the area & we always stay at the Guest House. So beautiful & accommodating plus has the beautiful Redwood walking paths right in the back yard. So happy to hear that Park Ave is an accommodation you've found that meets all your needs! And that it's become your go to for visiting up in the Redwoods. How perfect! The Redwoods (and trails) are indeed right out your door, as well as an outdoor table and chairs, with umbrella, for spending some time soaking up some fresh air, or eating a meal outdoors. We look forward to having you back soon to Park Ave! 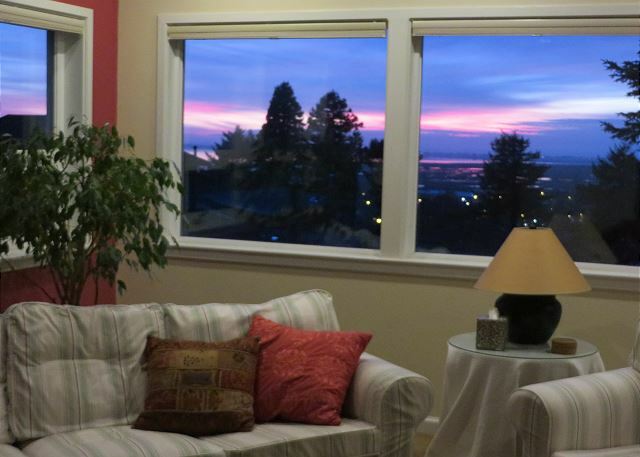 My husband and I fell in love with the house the moment we opened the door; from the color scheme to the outstanding view of Arcata Bay and beyond. There was everything we needed in the kitchen along with an abundance of linens. The binder gave up tips on where to find the best of everything to enhance our stay. The location in a quiet residential area next to a redwood grove could not have been better. We will be back next year, for sure. So happy to hear you enjoyed everything about Park Ave! It's in a wonderful location, walking distance to lots of trails through Redwood Park and an outside seating arrangement for enjoying the view. A wonderful spot for enjoying lunch or dinner, out on the patio. The view is wonderful, we agree. We look forward to having you back again at Park Ave., so please look us up when planning your next trip here at Redwood Coast Vacation Rentals. We look forward to your return! This place was gorgeous in every way. The bedding was premium and they even provided robes which were a luxury when traveling. So happy to hear your positive feedback! Park Ave Guest House is a very clean and comfortable home. The owner has thought of everything a guest could want, right down to cozy robes for relaxing in. We're very happy to hear you enjoyed your stay, and look forward to your return to Park Ave Guest House! Thanks again for taking a moment to leave a review. Please visit us at Redwood Coast Vacation Rentals when planning your next trip! The property was very nice. Great location, and the layout was well suited for my family's needs. Although the weather is usually on the cool side in Arcata, during our stay we encountered a record heatwave, and a nearby Fire. It would have been nice to have a floor fan to circulate the air. Thank you for taking the time to leave a review of Park Ave.! We were experiencing a record heat wave and we were delivering fans to guests when requested. We would have been happy to bring one to you, however, as you stated, it is normally cool enough to not require a fan. We are very sorry we didn't hear from you to help with that, we are always available for our guests requests! We hope you'll return to Park Ave. soon and please look us up at Redwood Coast Vacation Rentals when planning your trip to the North Coast! Thanks again for leaving a review. Home is gorgeous & backs right up to the Redwood Park with several walking/hiking trails. 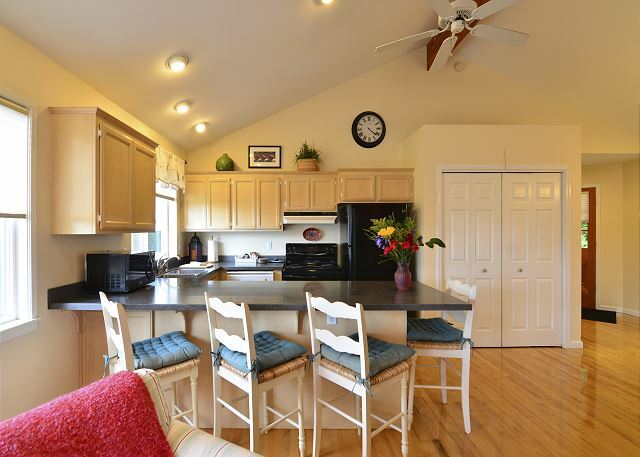 The home is very clean, well kept and generously stocked with the tools to cook your meals. Enjoyed time on the deck looking towards the bay with coffee in the mornings & wine at night. Thanks so much for taking time to leave a review of Park Ave.! It is in a truly great location, and is very clean and accommodating. We are overjoyed you had a great experience at Park Ave., as it's our number one priority that guests enjoy their stay, and want to return on their next trip. Thanks again and we look forward to your return! Our vacation was amazing. We were up there for a week moving our daughter into college. It was a 2 minute drive to the college. It was very clean. I sat out on the patio and watched the sunset most nights. We would definitely stay here again. Thank you for leaving a review for Park Ave. We're so glad you enjoyed all the house had to offer and are thrilled you'll be returning to stay with us again. It is in such a great location, private, but very close to town, and very clean. Thanks again, and be sure to visit Redwood Coast Vacation Rentals when your planning a return trip to Park Ave! You are very welcome! 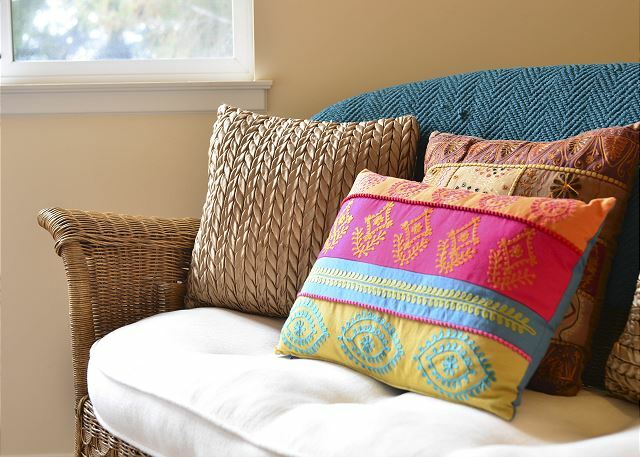 At Redwood Coast Vacation Rentals, we strive for perfection in accommodating our guests. We are so happy you had a great stay and look forward to your return to Park Ave. in the future! And thank you for taking time to leave a review of your stay. Please visit us at Redwood Coast Vacation Rentals next time your planning a trip to the North Coast! The house was clean and well maintained and had a great location. The Arcata Community Forest was literally next door and a great place for walks or short hikes. There was a fantastic grocery, Wildberries, just minutes away. When we travel, we cook. The house had all the basics, but lacked a grill, a blender and a regulation food processor (there was very small food processor that made making pesto a challenge). Arcata seems to be a wonderful town and I would certainly recommend a visit. This is a well maintained, clean house in a good location. The rental agency was very responsive to our inquiries. But, if we return to the area we will look for a house that better facilitates our desire to play in the kitchen at night. So glad you enjoyed your stay at Park Ave., it certainly is in a great location, with the proximity to the forest and great trails. Glad to hear the kitchen was for the most part adequate for your culinary needs, however, the above items are not standard fare in most vacation rentals. You are welcome to bring along any specialty kitchen items on your next trip to the North Coast, so you can best express your inner chef. We would love to have you back at Park Ave. so please look us up at Redwood Coast Vacation Rentals when planning a trip back to the North Coast! Thanks so much, we are so pleased you had a "very nice stay" at Park Ave Guest House. It is such a new-feeling, fresh, and crisp accommodation with bay views. Thank you! We look forward to your return to Redwood Coast Vacation Rentals, a 100+ accommodation company. It was a wonderful place to stay. Great location and the house was beautiful. Wonderful trip to Arcata to visit my son. This home is just that a "home" away from home ... so beautiful & comfortable, backs right up to the redwoods that you can cut thru to the park with multiple paths to hike. Aw shucks, thank you! Yes Park ave guest house is such a nice, quiet and well designed place with amazing views! We look forward to your return to Redwood Coast Vacation Rentals, a 100+ accommodation management company! This home is cozy and functional - it has everything a traveler might need. The views of the Redwoods and the bay are beautiful! Thank you so much for staying at Park Ave Guest House. Yes, this home is such a perfect accommodation in a great location with amazing views. We look forward to your return to the Redwood Coast. Great! A home away from home! Thank you, Thank you. We look forward to your return to Park Ave Guest House. I traveled from Texas with my daughter and granddaughter to visit Humboldt University and the town of Arcata. My granddaughter fell in love and was ready to move immediately. We stayed in Park Ave Guest House and it was perfect for our needs. We enjoyed two amazing hikes in the Redwoods and a walk on the beach of the Pacific Ocean. My granddaughter will not be attending college until the Fall of 2018 but I'm sure when she is in school we will come visit. When we do, we will look forward to staying in Park Ave Guest House. Oh thank you! Yes, Park Ave guest house is such a perfect location for parents visiting HSU. It's also so fresh, clean and comfortable. Thank you for taking the time to write this review, and for staying with us at Park Ave Guest House. We look forward to your return. This home is relaxing, well-designed, and has all the amenities - including bathrobes - that you might expect at a high-end hotel. I have stayed here more than once because it is such a pleasure to land here after a long day of working and driving. Being close to the university is a plus. Thank you so much for the really nice review! Yes, high-end hotel is a great way to describe/compare Park Ave Guest House to. We look forward to accommodating you soon. Thank again! We loved it! Everything was absolutely perfect! Awe, Thanks! Wish we could add to that, we'd have to agree. Park Ave is so nice. People just love it! We look forward to your return. This is an amazing home away from home in the Redwoods. Beautiful, quiet and well kept. We enjoyed our stay and not too far from the Redwood Parks. We would definitely come back. Perfect for two couples if you wanted to have company. It was only the two of us but we loved the privacy. Thank you so much for staying with us at Park Ave Guest House. It's perfect location, well kept, and very beautiful. Thank you for the great review! We look forward to your return! I had business at HSU, and wanted a place that allowed me to walk to campus. No problem, though the walk back will get the heart rate up. Thanks so much for coming stay with us at Park Ave guest house! It's perfect for a visit to HSU for parents and associates. We look forward to your return. We stayed here as a home base for exploring the redwoods and the north coast. It worked out great for us. The kitchen was big and modern, perfect for cooking at home each night. The place was very clean and relaxing. Thank you very much staying with us at Park Ave Guest House. It was so nice having you as our guest and we are so pleased to hear you loved our home. We appreciate this review and look forward to your return! This is the second time we have stayed at the Park Ave House. Love it! Clean, nicely decrorated. You feel at home. Thank you so much for coming back. Park Ave Guest has gained a great following of return guests. We are so pleased to hear you loved it again and look forward to accommodating you next time! A perfect little house with a big palm tree in the front yard and a redwood forest in the backyard with a panoramic view of the bay. Park Avenue is close to everything. The furniture is comfortable, the kitchen is well-equipped, the place is spotless -- it's basically terrific. We could not have been happier. Thank you so much! Park Avenue Guest House is a crowd pleaser! We Appreciate you coming to stay with us and look forward to your return! Thank you so much for staying with at Park Ave Guest House. We are so please to hear that you loved it!! Thanks for the great review and we look forward to accommodating you in the future! I rented this home for my in-laws, who are older with mobility issues. They loved this place and found it very comfortable. The views are beautiful, and the location is perfect for getting to HSU or going to the plaza in Arcata. Thank you so much for being our guest. We really appreciate you coming to stay with us at Park Ave Guest House. This house is a such an adorable, clean, and accommodating place. Everyone seems to love it! Thank you, we look forward to your return. Directions to house easy to follow. Great location for getting to the heart of town (restaurants & farmer's market), wildlife marsh, azalea garden, city forest and all other sites. House well-appointed and comfortable for the four of us. High quality furnishings and linens. Perfectly clean. Only short coming was in meager supplies of basics (TP, laundry soap) and lack of info on where to place the recycling bin. Thank you for taking the time to write this review. Yes, this house is very well appointed and accommodating. Everyone who stays here loves it! We we note in our correspondence that we supply TP and the like for first few days, we were happy to bring you some extra along with the laundry soap. Thank you for being our guest, we look forward to your return to Park Ave Guest House. We loved everything about the property, especially its location next to the community forest. We had a lovely 6 mile hike through the forest during our stay. The kitchen was well equipped, and there were plenty of towels in the bathroom. Sitting on the patio was enjoyable. We had a great time! Thank you! I was so nice having you as our guest at Park Ave Guest House. We are so pleased to hear you enjoyed everything. We look forward to your return! We enjoyed our stay at the lovely vacation home in Arcata. The view was lovely. The home was spacious, very clean, and well equipped. The location was ideal, a few minutes to town,and short day rides to the Redwoods and beaches. Thank you so much, we love Park Ave Guests house. This is home is such a refreshing and well appointed getaway accommodation. Thank you for coming to stay, we look forward to your return to the Redwood Coast! Lovely home base for two couples for four nights in April, 2016. Quiet location, pleasant seating in living room and kitchen areas for four. Nice, distant views of the bay and marsh from the hillside location. One 1/2 baths means the shower needs to be shared. A small family could have a pleasant stay here, as well as one or two couples. This rental was such a pleasant surprise. Walking distance to the Redwood Forest Park and all of its amazing trails. One trail will take you right to Humboldt State! We loved how spacious and clean this rental was. What a treat! Thank you so much. Park Ave guest house is so well appointed and in such a great location. The views are also an added bonus. We look forward to your return to Park Ave Guest House. Wonderful little house up on the hill. Great views. Well-appointed and very comfortable. Close to everything. Park Ave Guest house is clean, comfortable, quiet, and as you noticed, has a great view! Thank you for choosing to stay with us at Park Ave Guest House! We look forward to your return to Redwood Coast Vacation Rentals! Congratulations on your HSU student! We really hope to see you here agins oon. This place is perfect for parents visiting. We are very pleased with this vacation home. Overall fantastic value and beautiful location with bay view. One small issue was that there were ants in the kitchen. Otherwise, the house was very clean and comfortable. The management company took the time to call us with a severe weather update/warning the day before our stay. This was very much appreciated. We will definitely be back! Thanks for the great review! Yes, ants are an occurrence in the wet winters all over the area. We do take preventative measures frequently but a few will come and visit. We hope to see you again! Thank you! We appreciate you taking the time to write this review. We appreciate you coming to stay with us at Park Ave Guest House. We look forward to your return to the Redwood Coast! Incredible view of bay. Beautiful, cheery room. Worked perfect for two couples traveling to Arcata for an HSU football game. Thank you! 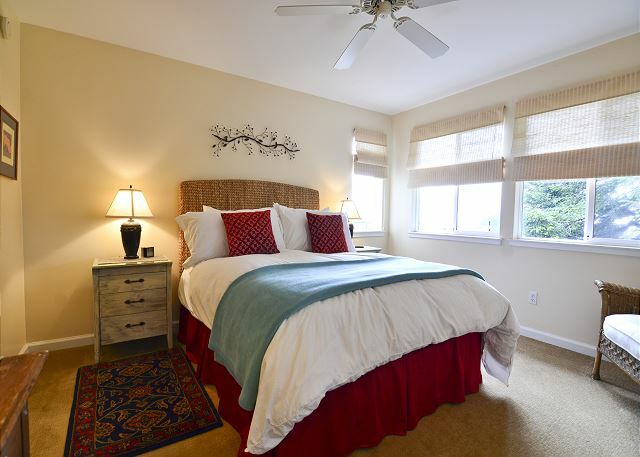 Park Ave has been such a crowd pleaser since it joined us at Redwood Coast Vacation Rentals. We look forward to your return!! As always, we looked forward to our getaway rereat and were not disappointed. The only disappointment was that we were not notified, until the night before, that workers would be on the site the last two days of our visit, which kept us from fully enjoying the patio area with the beautiful view and "quiet" surroundings, which is a primary reason we love this spot. Although the workers were most courteous, we missed the solitude we desired. Wish we had known when we booked the rental, just as a "heads up". Otherwise, it was perfect! Thank you so much for staying with us at Park Ave Guest House. We are so glad you loved it!. Yes, the owner takes great pride in making the accommodation and surrounding grounds pristine, hence the construction. Apologies for not letting you know sooner. We look forward to your return to the Redwood Coast! This property was a very lovely and comfortable place to stay. During our three days/two nights in the area we explored wonderful Humboldt County and would happily return to the comfort and great views provided by the Park Ave Guest House. We would have liked to have more time to spend there on this trip, but we definitely hope to return on future visits to the area. Thanks again for making this rental a great place to rest the body and soul! Thank you, thank you!! We try hard to provide a great experience for all of guests, and truly want to provide some solace for them during their visit. To hear that Park Ave Guest House was a "great place to rest the body and soul" makes it all worth it. Thank you, we look forward to your return! Very satisfied with the entire process of renting this house. Jesse was great to work with and the house itself was warm, inviting and clean. The location is great and the views are fantastic. Would recommend this property for those vacationing in Humboldt County! This home was absolutely beautiful. It is very large, beautifully furnished and decorated, and stocked with more than everything you might imagine, right down to Q-tips and toothpicks. Situated a few blocks up the hillside, it offers relative quiet and somewhat expansive views of the city and the ocean beyond. Unfortunately, the home is directly above the kid's playground at the community forest, so there is no peace on the back deck. Kids are screaming all day long, and some sort of performances are blaring all evening long, well after dark. The noise doesn't penetrate the interior much, but makes the otherwise serene back deck unusable. The huge picture windows, and the front deck, look out over what might be a beautiful view, but instead that view is filled almost exclusively with the immediate neighbor's ugly patchwork home, an awful conglomeration of remodels and additions that bear no resemblance to any aesthetic I can name. Most of the rest of the view is of the next house beyond, an even more dilapidated shack. Bottom line: House: A ++. Location: Seriously unfortunate. Thank you so much for taking the time to write this review. We are so pleased to hear you enjoyed the home! It is such a nice house and area! 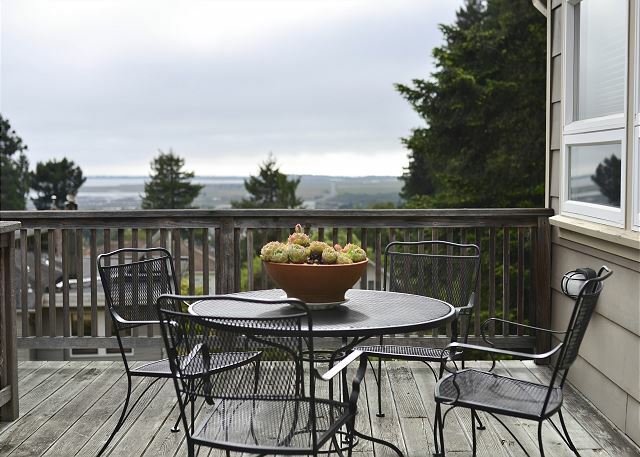 Most people love the breathtaking view, being all the up the hill in Arcata and able to see the entire Humboldt Bay. The last folks called it a "Great Place to Rest the Soul." We are sorry to hear the area was not the best fit for you. With over 75+ properties to choose from at Redwood Coast Vacation Rentals, surely we'll find a better fit next time. We look forward to your return. The rental was great, location at the edge of the Redwood Community Park was awesome. However, we never could get the key out of the lockbox, fortunately, there a code system on the door so we could get in. there was a shortage of some basic supplies such as toilet paper, soap and shampoo. overall, it was great and we would stay again. Thank you so much for coming to stay with us at Park Ave Guest Home! We appreciate you staying with us and taking the time to write this review. We provide basic toiletries that will last the first couple days as it says in you confirmation. However, a simple phone call and we'll be happy to bring you some next time you here. we look forward to you return to Park Ave Guest Home. Wow - what a fantastic house! The place was spotless, in excellent condition. Everything looked brand new. Great views of the bay and ocean. Great location right next to the Arcata forest park with huge redwoods. We loved it here and would definitely stay again. Thank you so much for staying with us at Park Ave Guest Home. It is so clean and nice. With over 75 accommodations to choose from at Redwood Coast Vacation Rentals, we are please to hear you found the perfect fit. We look forward to your return! We came to Arcata to spend time with family and go to the Oyster Festival and the Park Ave. house was lovely! Very clean!! It had everything we needed for our stay. I would highly recommend it!! Thank you so much for taking the time to write this review. Park Ave Guest House is such a nice, quiet, clean and well appointed accommodation with amazing views! We look forward to your return to the Redwood Coast! The guest house was lovely -- It had everything we needed for a weekend stay. It was comfortable, in a beautiful setting. Wonderfully charming home with a beautiful redwood park in the backyard. Very happy with this home! We regularly come to Arcata to visit our HSU student, and Park Ave Guest House is our new favorite place to stay. Cute as a button, clean as a whistle, and a great view of the bay. Very convenient, but out of the bustle. We look forward to many returns. Perfect setting for a peaceful getaway....quiet...inviting....with every attention to detail....beautiful view of bay & redwoods! Couldn't have been happier ?? Park Ave is a great place to have a quiet relaxing get a way with wonderful views of Arcata surroundings. We hope you visit us again at Redwood Coast Vacation Rentals or any of our 60+ properties we have available throughout Humboldt!